“You smuggle weapons, explosives and cash to the West Bank, not for the fight with Israel, but for a coup against the Palestinian Authority. The Israeli intelligence chief visited me two weeks ago and told me about the [Hamas] group they arrested that was planning for a coup… We have a national unity government and you are thinking about a coup against me.” — Mahmoud Abbas, PA President, to Khaled Mashaal, Hamas leader. According to Israeli Defense Minister Moshe Ya’alon, if the IDF leaves the West Bank, Hamas will take over, and other terrorists groups such as the Islamic Jihad, Al-Qaeda and Islamic State would operate there. In recent months, Abbas has been making a series of threats against Israel. If Abbas becomes another Arafat, it could be the Israeli side that loses interest in security cooperation. President Bush had declared in 2002, “The United States will not support the establishment of a Palestinian state until its leaders engage in a sustained fight against terrorists and dismantle their infrastructure. This will require an externally supervised effort to rebuild and reform the Palestinian security services.” To establish his leadership, Abbas was determined to have a monopoly over the use of force. So in 2005, the office of the United States Security Coordinator [USSC] for Israel and the Palestinian territories was created to train Palestinian Authority security forces, especially the Palestinian National Security Forces [NSF] and the Presidential Guard. This process was credited, particularly during the leadership of U.S. Security Coordinator LTG Keith Dayton from 2005-2010, with measurable improvements in the capacity and effectiveness of the Palestinian security services. It led to a great expansion of Palestinian cooperation and enhanced coordination with counterpart Israeli security services. Today, security makes up a sizeable proportion of the PA budget, accounting for 26% of 2013 expenditures. More public servants are now employed in the security sector than in any other sector. 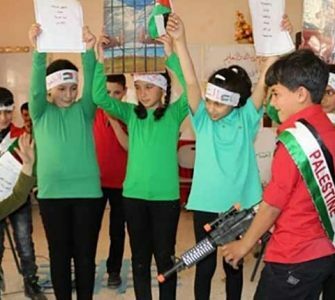 Of the 83,000 PA civil servants in the West Bank, 31,000 (37%) are “defense workers.” There is now one security person for every 52 Palestinian residents compared to one educator for every 75 residents. A year later Israel reported that, in 2011, 764 joint security meetings were held between Israeli and Palestinian security authorities. Israel’s Ministry of Justice maintains ongoing relations with its Palestinian counterpart, and the Israeli security network maintains close ties with General Dayton. Although there has been little public acknowledgement, the Palestinian and Israeli forces have developed an elaborate system of detailed security cooperation. Israel produces a great volume of intelligence that is essential for early warning of terrorist threats. Unit 8200, the Central Collection Unit of the Israeli Intelligence Corps, comprising several thousand soldiers, monitors phone calls, emails, and other communication, and maintains covert listening units in the West Bank. In addition, Israel’s Shin Bet has a network of Palestinian informers in the West Bank and the Gaza Strip, who help target militants and tip off security services to imminent attacks. Important pieces of the Israeli intelligence are shared with Palestinian security services, facilitating preventive action to interdict terrorist plots before they can be consummated. On enforcement, the two sides share the burden of arresting and detaining Hamas and other militants in the West Bank. Sometimes, Israel asks the Palestinian agencies to perform the arrests, while in other cases the Palestinians stand aside while special IDF forces arrest them. As of August 2014, 5,505 Palestinian security detainees and prisoners, more than 90% of whom were from the West Bank, were held in Israel’s Ofer, Ktzi’ot, and Megiddo prisons. On the PA side, according to one study, Palestinian security services detained 13,271 Palestinians during the years 2007-2011, an average of 2,654 per year, although many were released without prosecution. Israeli Defense Minister Moshe Ya’alon said, “We counted 1,040 cases that were handled by the Palestinian security services in 2013. How many of them went to trial? Zero.” In the same period, Ya’alon said, Israel had arrested some 3,000 Palestinians, many of whom were later imprisoned. Recent events have put a strain on the security cooperation that Dayton built in 2005-2010. 50 days of fighting in Gaza, from July 8 to August 26, 2014, resulted in over 2,100 Palestinian fatalities and vast physical destruction, changing the climate for relations with Israel. Many Palestinians in the West Bank as well as Gaza were heartened by the fact that Hamas was able to launch 4,564 rockets and mortars from Gaza into the Israeli heartland, even though few found their targets. Hamas was seen as an effective fighting force standing up to the Israelis, while the Palestinian Authority was dismissed as ineffectual. Many voices were raised calling on Abbas to adopt a more militant posture toward Israel and to end his cooperation with the hated “Israeli regime”. 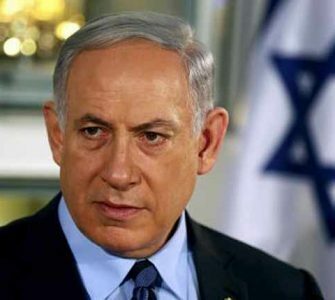 Under this pressure, in recent months PA President Mahmoud Abbas has been making a series of threats against Israel, even including the idea that he will terminate the security cooperation with Israel if his political demands are not met. 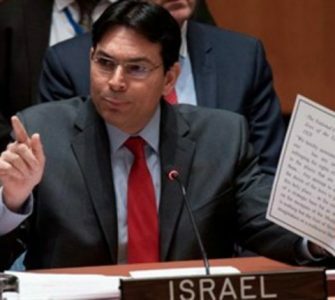 On August 21, 2014, he said that he had told Israeli Shin Bet chief Yoram Cohen, “If [the U.S.] does not agree [to Palestinian demands], we will stop security coordination and cooperation with Israel,” and repeated the threat publicly in a press briefing at his Ramallah office on October 1, 2014 . The 2007 Hamas Plot Against the PAA senior Shin Bet source described the scope of the plot to the Jerusalem Post: The conspiracy began in 2010 and was orchestrated by overseas Hamas operatives headquartered in Turkey. Khaled Mashaal, Hamas’s overseas leader in Qatar, was aware of it. 93 Hamas members are in Israeli custody, and security forces plan to indict 70. “This infrastructure stretched from Jenin in the North to Hebron in the South. It is one of the biggest we’ve seen in Judea and Samaria since Hamas’s formation in 1987. They planned to carry out a coup and topple the Palestinian Authority.” The head of Hamas in the West Bank since 2010 was indicted in the Judea and Samaria military court in August 2014 for organizing dozens of terrorist cells to advance the plot. 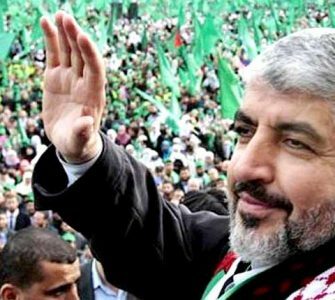 The attempted coup in 2014 was not the first time that Hamas has moved to overthrow the Palestinian Authority. On June 12, 2007, less than three months after agreeing to an earlier national unity government with Abbas, Hamas launched a coup in Gaza. A major Fatah base in the northern town of Jabaliya fell to Hamas fighters, and heavy fighting raged around the main Fatah headquarters in Gaza City, where Hamas militants attacked with rocket-propelled grenades and automatic weapons. On June 13, Hamas seized the headquarters of the Fatah-controlled National Security Forces in northern Gaza, and an explosion wrecked the Khan Younis headquarters of the Fatah-linked Preventive Security Service. On June 14, Hamas gunmen completed the takeover of the central building of the Preventive Security Service’s headquarters in the Gaza Strip. Will Abbas Reject Israeli Protection? There is a consensus in Israel that the IDF, the Shin Bet, and other Israeli security services in the West Bank play a greater role in suppressing Hamas than the Palestinian Authority’s own security agencies. Most experts inside the IDF and the Israeli intelligence believe that withdrawal of the IDF from the West Bank would quickly lead to the end of the PA and the rise of Hamas. Israeli Defense Minister Moshe Ya’alon reflected this view when he said in September that, if the IDF were not there, Hamas would take over and other terrorists groups such as the Islamic Jihad, Al-Qaeda and Islamic State would be able to operate freely in the West Bank. If Abbas ends Palestinian security cooperation with the Israeli security services, the move would not remove the IDF from the West Bank, but it might erode the Israeli agencies’ performance by reducing intelligence and early warning. While reduced intelligence could be harmful to Israel, for Mahmoud Abbas and the Palestinian Authority it could be fatal. Will Abbas end security cooperation with Israel, even knowing this could be a suicidal decision for himself and his government? What makes Abbas’ decision less than certain is that Abbas is under cross-pressure from two different threats to the future of Fatah and the Palestinian Authority. One pressure is that “Since the establishment of the Palestinian Authority,” Hamas has “been working to undermine it and to topple it,” as Abbas told the Emir of Qatar. Hamas is apparently now more determined than ever to establish itself in the West Bank. Against this threat, cooperation with Israel is vital. The other pressure is that the government of Fatah is also threatened by the political acclaim that Hamas has achieved in the Arab world by confronting Israel. This shift puts Abbas under pressure to adopt a more belligerent posture to compete with “the strong horse” in Gaza. In the current political environment, any hint of “collaboration” with Israel could be fatal to Abbas’s credibility with an increasingly militant public. It is possible that neither pressure will prevail. In a typical Middle Eastern solution, Abbas could retreat to a posture of calculated ambiguity, pursuing two incompatible strategic policies at the same time, as did his predecessor, Yasser Arafat, who offered an olive branch and a gun. But security cooperation, especially the sharing of intelligence, requires trust. If the Israeli side believes that its information about Hamas might be passed along by double agents, there are bound to be restrictions on what is shared. If Abbas becomes another Arafat, it could be the Israeli side that loses interest in security cooperation. There is much tension and distrust on both sides of the Israel-PA relationship. So far, the daily cooperation between their respective security and intelligence services has survived in spite of these tensions. The question is whether this precarious balance can hold if Mahmoud Abbas continues to escalate his diplomatic assault on Israel at the United Nations, as he has threatened to do. For security cooperation to survive, the political leadership on both sides will have to decide what is vital to their respective interests. Syria says Israeli ‘terrorism’ threatens entire region War with Isis: Why should anyone have faith in the left if it continues to sit on the fence when it comes to supporting the Kurds?